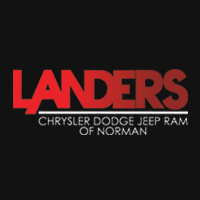 Landers Chrysler Dodge Jeep Ram of Norman, Oklahoma, has a great selection of Chrysler 300s for sale! Distinguished and refined, the all-new 2019 Chrysler 300 is a luxury four-door sedan like none other available on the market today. Once you step inside the all-new Chrysler 300, it’s like being transported to an exhilarating and exciting new world where the roads are now your playground. With an undeniable sense of sophistication and plenty of room for passengers, the 2019 Chrysler 300 makes the perfect car for that ultimate weekend getaway… so let’s take a closer look. 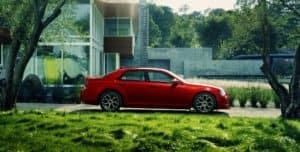 Click here to browse our available Chrysler 300 inventory right now! Technology: From the moment you open the doors of the all-new Chrysler 300, you’re instantly greeted with fun and functional tech that helps keeps you connected while on the go. In the dashboard of the 2019 Chrysler 300 you’ll find an 8.4” color touchscreen that houses Chrysler’s infotainment system, UConnect 4C. With UConnect 4C, you’ll be able to access music, phone calls, navigation and more — all directly through your 300’s onboard system. And thanks to Apple CarPlay and Android Auto, anyone with a smartphone can access their phone’s info wirelessly at any time. Other tech features like Lanesense Lane Departure Warning with Lane Keep Assist, a Blind Spot Monitoring System, Adaptive Cruise Control with Stop and Rear Cross Path Detection are designed to keep you, your loved ones and your Chrysler 300 safe no matter what. Design: Once you lay eyes upon the 2019 Chrysler 300, it’s hard to think about any other car. From its signature grille to the sleek bumper, the Chrysler 300 boldly redefines elegance and style for sedans around the world. The all-new Chrysler 300 comes in seven vibrant colors designed with the driver in mind: Bright White, Gloss Black, Ocean Blue Metallic, Ceramic Grey, Maximum Steel, Granite Crystal and Velvet Red. And with nine different wheel designs in four different sizes, the 300 is made to reflect your personality down to the bolts. If you’re looking to add a little extra flair to your new car, opt for the Chrysler 300S or the Chrysler 300C. The 2019 Chrysler 300S arrives standard with Daytime Running Lamps, sculpted sill moldings, premium LEF fog lamps and body-color fascias and spoiler; whereas the 2019 Chrysler 300C comes with 20” aluminum wheels and a platinum chrome finish around the grille, door handles, and exterior mirrors. Performance: Not only does the 2019 Chrysler 300 boast standout design and super-current automotive tech, it also features a rather impressive powertrain under its perfectly sculpted hood. The all-new Chrysler 300 houses an award-winning 3.6-liter Pentastar V6 engine that gives the bold sedan a best-in-class 363 horsepower and 394 pound-feet of torque! Even with all of that crazy power in this gorgeous compact package, the all-new Chrysler 300 maintains a stellar 30 mpg gas mileage on the highway for sheer fun and fuel efficiency. Does the Chrysler 300 sounds like the perfect car for you? Stop by Landers today to try one out, and maybe even take one home. Just click here!